Klitschko to DAZN: Show me the money! As previously reported by FightNights.com, former unified heavyweight world titleholder Wladimir Klitschko has not ruled out a return to the ring. 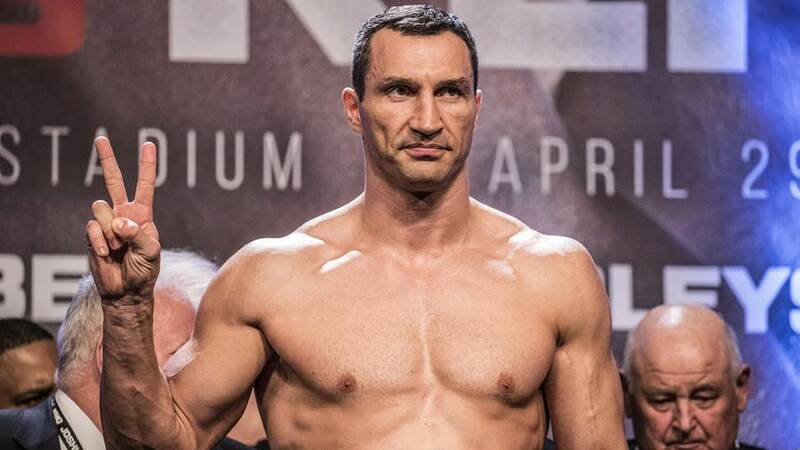 DAZN has offered Klitschko a three-fight agreement, but according to his older brother and former heavyweight champion Vitali Klitschko, the streaming service will have to bring more money to the table -- a lot more money to the table. "Let me tell you a true story. When the news came that a TV channel had offered him $40 million to make a comeback, I called him and asked what was going on. He said, 'This is an offer that does not really interest me.' Then, a few weeks later, they were talking about an $80 million offer, I called again and asked, 'What is the situation now?' He said, 'This is not an offer that changes my mind, maybe I'll start thinking about it at $100 million,'" Vitali said. "One thing is certain: no matter what decision he makes, I will support him 100 percent on his path and stand behind him -as we have always done. For me, this is how it is: Yes, money is very important in life. But Wladimir doesn't need any money; he's very well off. He has earned a lot as a boxer; the money has been well spent, he has a good career beyond the [boxing] career. The money alone will not motivate him. "In my eyes, he has nothing to prove as a boxer. He wrote history; he was one of the greatest boxers ever. For me, he can not gain anything in a comeback. But only he himself can make the decision. The most important thing in life is not money but health. "If he took off his shirt, everyone would see that he looks even better than when he was an active boxer. He trains every day. And look at him: He looks good and relaxed. As if he had slept a hundred years. His head is clear; he has not suffered any damage; he enjoys his present life." Klitschko (64-5, 53 KO's) has not fought since losing to Anthony Joshua by 11th-round TKO in FightNights.com's 2017 Fight of the Year, which drew a British boxing record of 90,000 to London's Wembley Stadium. The bout came just 17 months after Klitschko lost his belts to Tyson Fury in a huge upset in November 2015 by unanimous decision. Klitschko stated in January that he was not going to fight again. But in recent months, photos began to circulate the internet of Klitschko training, which led many to believe that he was returning to the ring. Klitschko recently addressed the rumors with SID, but did not outright deny them, either. "You never say never," Klitschko stated. "My status has not changed so far. There are always rumors, and I take them as a compliment. It's nice if the fans really want to see that. I'm pleased the community and the sport miss me."